When you have detailed item descriptions on, renamed item's name is not in italic. 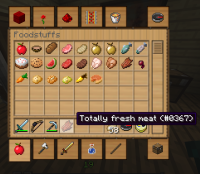 When you toggle detailed item descriptions using F3+H and point with mouse at item, you renamed in anvil, its name is not in italic. When you turn detail. iteme descript. off, name is writen in italic again. Style of font in item's name is not italic, when F3+H is in use. 3. 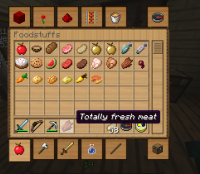 Point cursor on item, name appears without italic style.